University of Texas Rio Grande Valley guard Uche Dibiamaka (15) drives to the basket against North Dakota in a non conference game at the UTRGV Fieldhouse on Wednesday, Dec 5, 2018, in Edinburg. EDINBURG — UTRGV redshirt senior Johnny Crnogorac said there wasn’t much to it. He played basketball because he was taller than the kids around him. Crnogorac, who is 7-feet-1-inch, grew up in Sydney, Australia’s largest city. Crnogorac’s first exposure to college basketball happened in 2013. Butler, the two-time NCAA title game participant in 2010 and 2011, spent its overseas trip in Australia six years ago. University of Texas Rio Grande Valley guard Johnny Crnogorac (20) drives to the basket against North Dakota in a non conference game at the UTRGV Fieldhouse on Wednesday, Dec 5, 2018, in Edinburg. Crnogorac landed at Ole Miss, but he redshirted his freshman year before playing junior college basketball at Southwest Tennessee Community College. Crnogorac was joined this season by freshman guard Uche Dibiamaka. Dibiamaka is an Adelaide native, a city located in southern Australia. Dibiamaka and Crnogorac were recruited to Edinburg, in part, by UTRGV assistant coach Luke Mackay, a Perth, Australia native himself. The basketball scene in Australia has exploded in the half-decade since Crnogorac moved to the United States. The Saint Mary’s men’s basketball team continues to put teams in the NCAA Tournament with several Australian natives on its rosters. Since 2014, fellow Aussies Dante Exum, Thon Maker and Ben Simmons became NBA lottery picks. Crnogorac knows why the Australian basketball pipeline eventually leads to the U.S.
UTRGV coach Lew Hill uses Crnogorac and Dibiamaka as a part of his 10-man rotation. Dibiamaka has been the only true freshman to earn significant minutes on a nightly basis this season for UTRGV. UTRGV (14-12, 6-4) is playing its best basketball of the season. 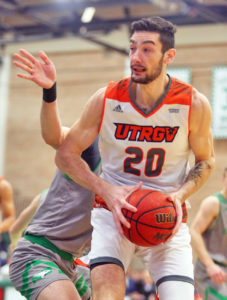 In its last two games, UTRGV trailed by double-digits at Grand Canyon and CSU Bakersfield only to come back from the dead and sweep the two-game road trip last week. 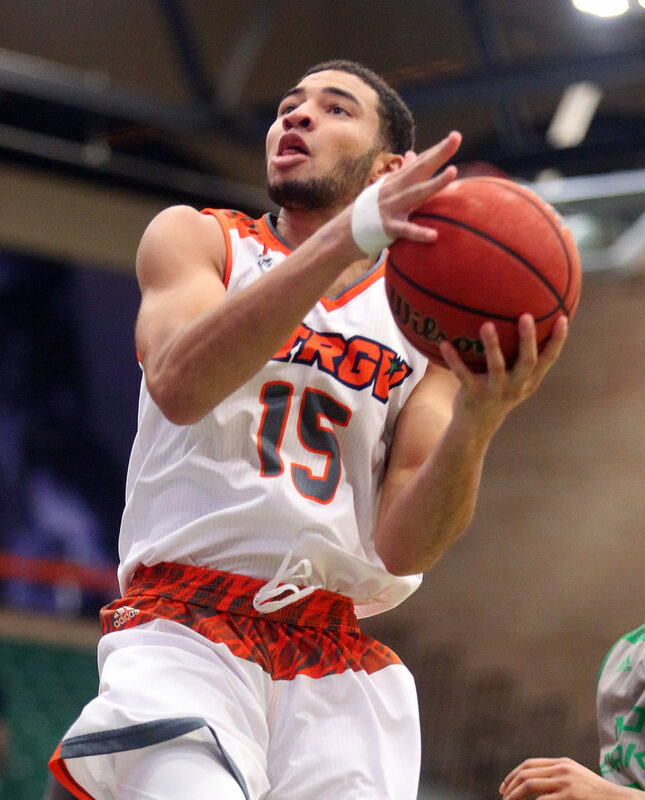 The Vaqueros are on a four-game winning streak that helped jump them into third place in the WAC standings. UTRGV returns home to face Seattle at 7 tonight and Utah Valley at 7 Saturday night at the UTRGV Fieldhouse.